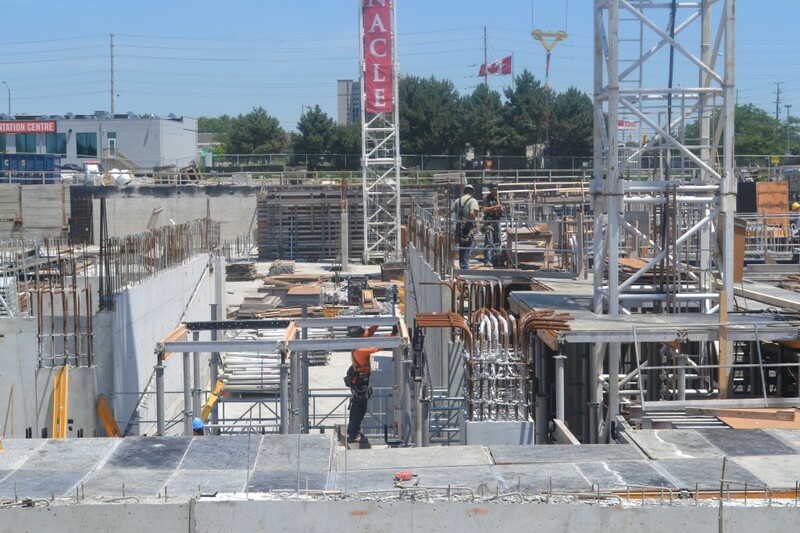 When the BuzzBuzzHome News team made the jaunt out to Mississauga last week, we originally intended just to visit Pinnacle International‘s Grand Park site for a construction update. 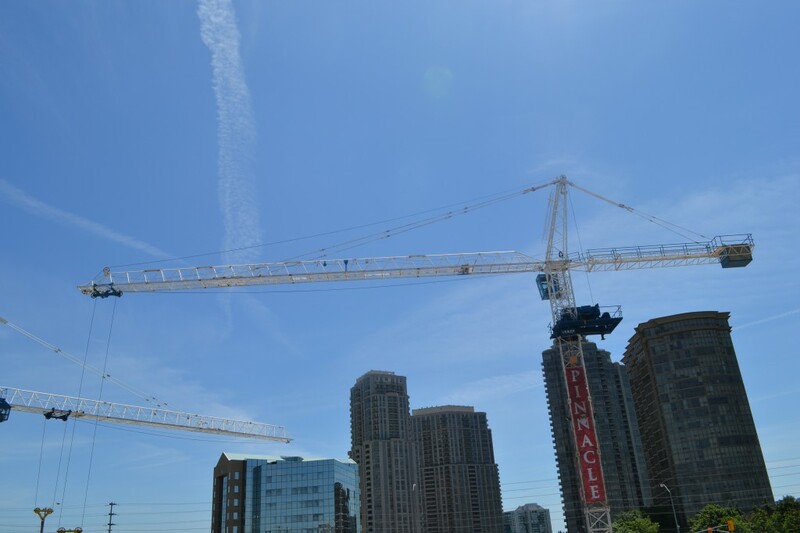 While we were out there, the Pinnacle folks offered to take us over to the nearby Pinnacle Uptown site at Hurontario and Eglinton Avenue West to snap some shots of the progress they’d made since our last visit. 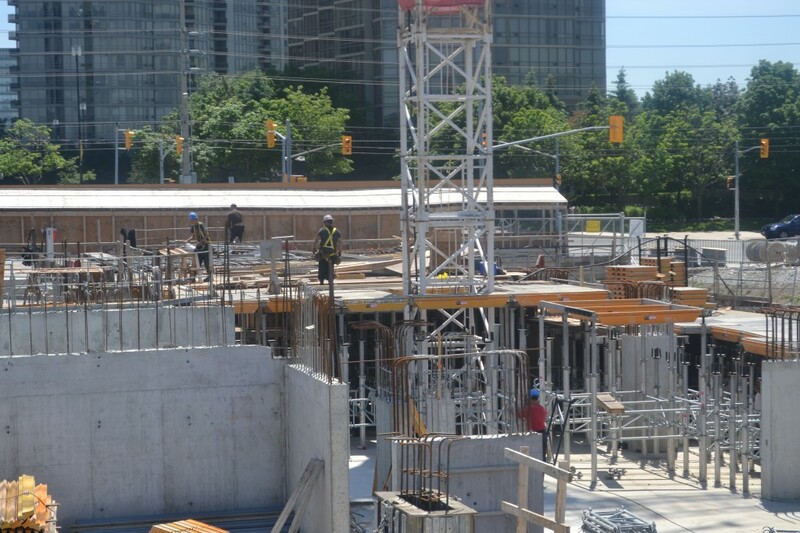 Of course, we happily obliged as any day that we get to tour two construction sites is a very good day indeed. 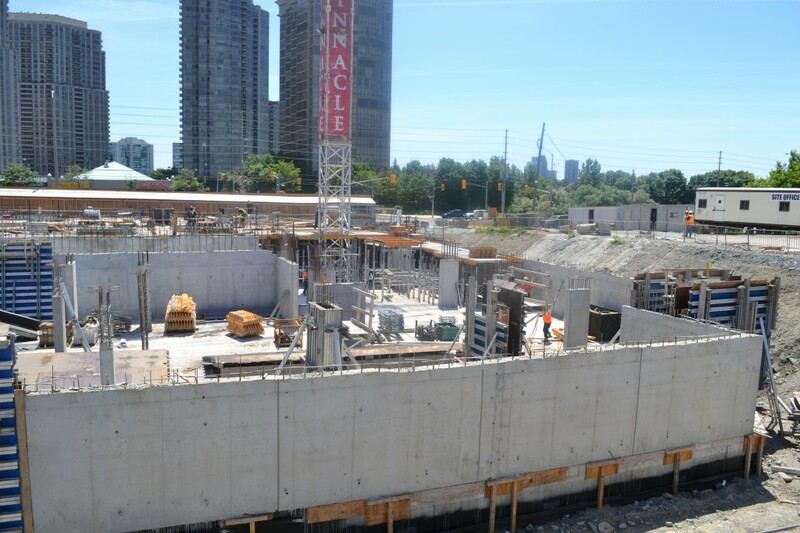 The construction crew is currently at grade at Crystal at Pinnacle Uptown, the first condominium being constructed on the massive Uptown site. 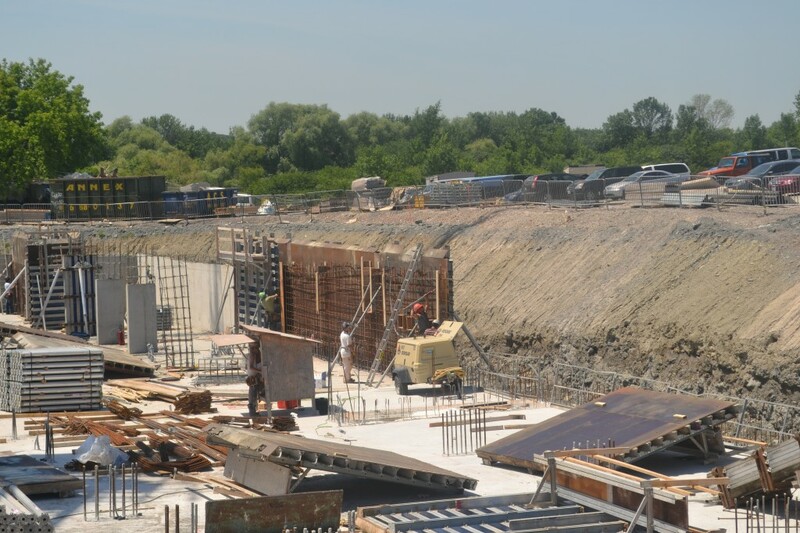 The team was hard at work preparing for a cement pour when we arrived on the scene. 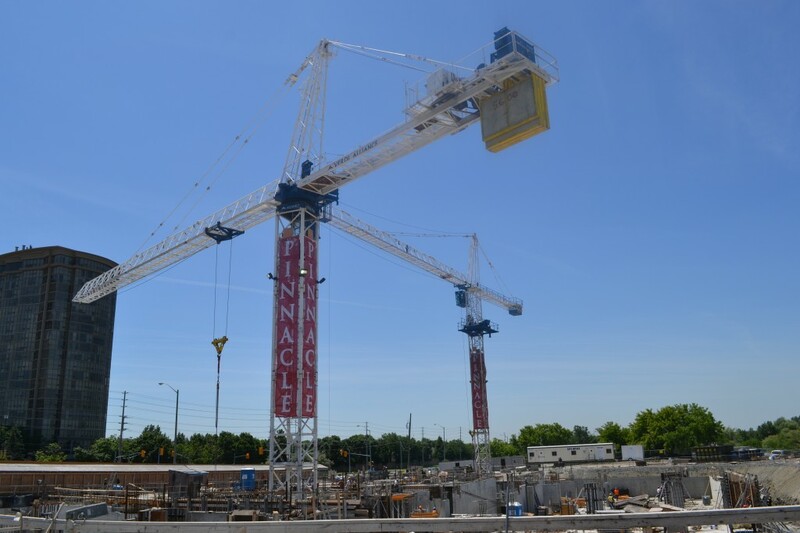 For more info on Crystal at Pinnacle Uptown call 905 568 9000 or email info@pinnacleuptown.com.